Pressure Transient Testing book presents the fundamentals concept of pressure-transient test analysis and design in clear and simple language and explains the theoretical bases of well-test-analysis software. Test-analysis techniques are illustrated with complete and clearly written examples. it also focus on physical processes and mathematical interpretation, this book will help to all levels of engineers who want to understand how modern approaches work in well testing. Don’t forget to click on download option, get it free. This book is written by well qualified authors. And it provides understanding so that the student can use this knowledge with greater appreciation and so that the student can read monographs and papers on transient testing with greater appreciation for the context of the subject. Accordingly, this text is but an introduction to the vast field of pressure transient test analysis. Follow the main features of this book. Pressure Transient Testing PDF Features. This book was prepared by members of the Society of Petroleum Engineers and their well-qualified Authors. Different types of work sheets and Designs are presented in appendix of the book. Each topics and Tests are explained with a basic definition, diagrams, and tables. Fundamentals of Fluid Flow in Porous Media. Introduction to Flow and Buildup-Test Analysis: Slightly Compressible Fluids. Introduction to Flow and Buildup-Test Analysis: Compressible Fluids. Well-Test Analysis by Use of Type Curves. Analysis of Pressure-Buildup Tests Distorted by Phase Redistribution. Well-Test Interpretation in Hydraulically Fractured Wells. Interpretation of Well-Test Data in Naturally Fractured Reservoirs. Design and Implementation of Well Tests. 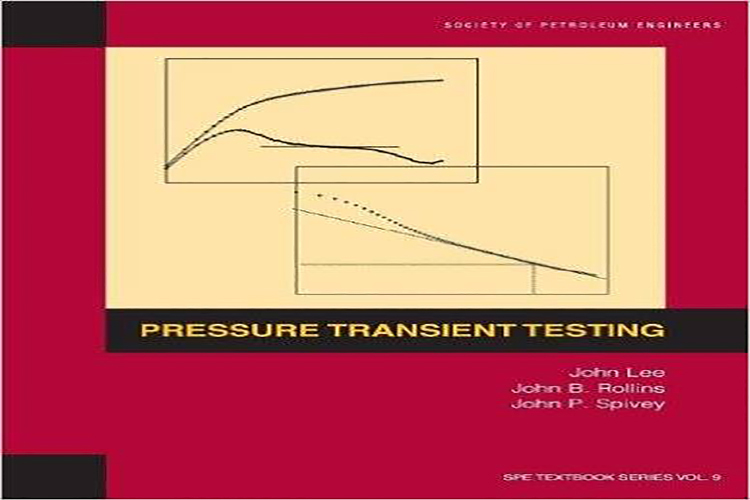 Download Pressure Transient Testing PDF Free.